A vacation is meant to be relaxing, to be a real luxury, so why settle on accomodation? Experience the Hotel Penarvor’s amenities and luxurious accomodations today. Only a two minute walk from Crooklets beach, this hotel is the most relaxed you’ll feel on vacation in years. Are you a fan of golf? 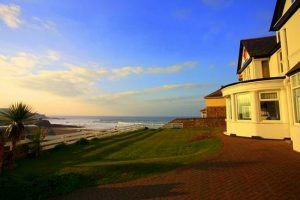 This hotel is only a twelve minute walk from Bude and North Cornwall Golf Club allowing you easy access to all the neighbouring attractions and events. You’ll never get bored with the Castle Bude only about ten minutes away from your front door. Complimentary breakfast is just one of the great bonuses that you will receive when you stay with the Hotel Penarvor. Be treated the way you want to be treated on vacation and put your feet up because you won’t have to worry about a thing. Hotel Penarvor has you covered from their traditional rooms that cover everything you need to the sea side view that just adds an extra touch of comfort. This is as close you’ll get to the beach when travelling in this area and there is no better place to be when you want to relax. The rooms are well equipped, comfortable and perfect for yourself and those you love. Sometimes your stay is about all the activities you will leave the hotel for. Location is the most valuable attraction at this hotel as it places you in the heart of everything that is happening. If you want exhibitions, special events, beaches or golf, you can find it all just a stroll away. Nothing is out of reach when you visit the Hotel Penarvor. The facilities are updated, modern and captivating while the location adds that extra factor that makes this hotel unbeatable. Nothing seems to compare and you won’t ever stay anywhere else after you visit the Hotel Penarvor for whatever your needs. This hotel will accommodate your business, personal and special event needs so don’t miss out. If you want the best, go to the best and visit the Hotel Penarvor!